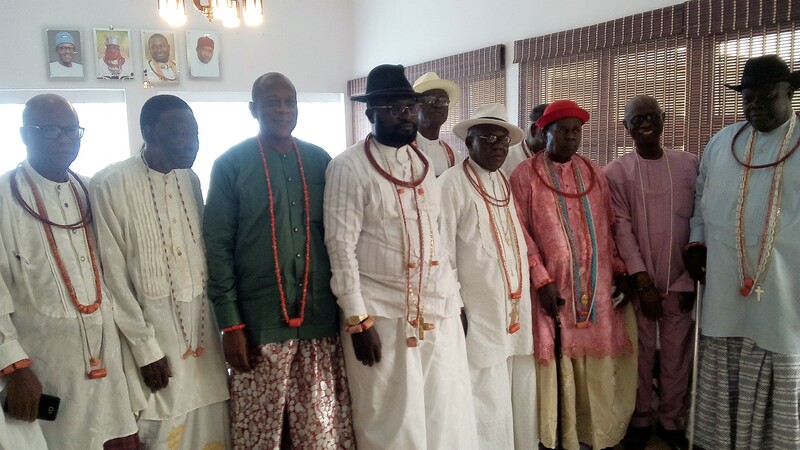 As the 2019 polls inch closer, the Warri Council of Chiefs have commenced engagement of aspirants of Itsekiri extraction, with a view to choosing candidates that will protect Itsekiri interest, irrespective of their political parties. 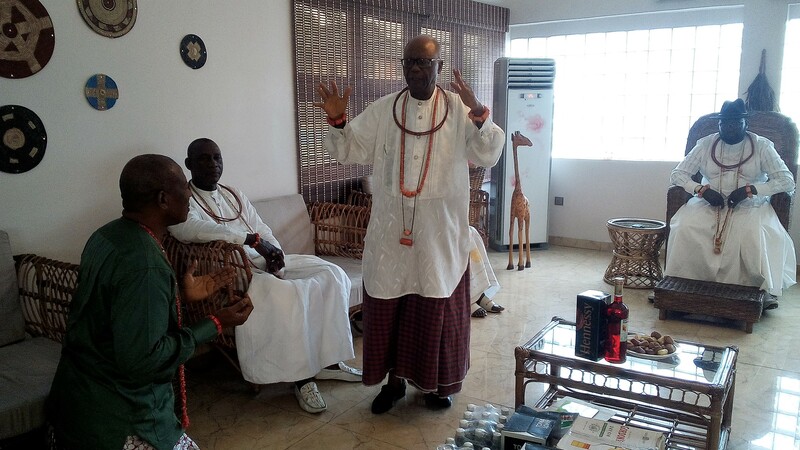 The Ologbotsere of Warri Kingdom, Chief Ayirimi Emami who spoke to newsmen Saturday September 1 at his Warri palatial home shortly after prominent members of Warri Council of Chiefs engaged two senatorial hopefuls from Peoples Democratic Party and All Progressives Congress: Rt. Hon. JFK Omatsone and Air Vice Marshal Terry Okorodudu (Rtd.) respectively, noted that two House of Representatives aspirants, Hon. Daniel Reyenieju and Chief Thomas Ereyitomi had visited the council to seek their blessing. 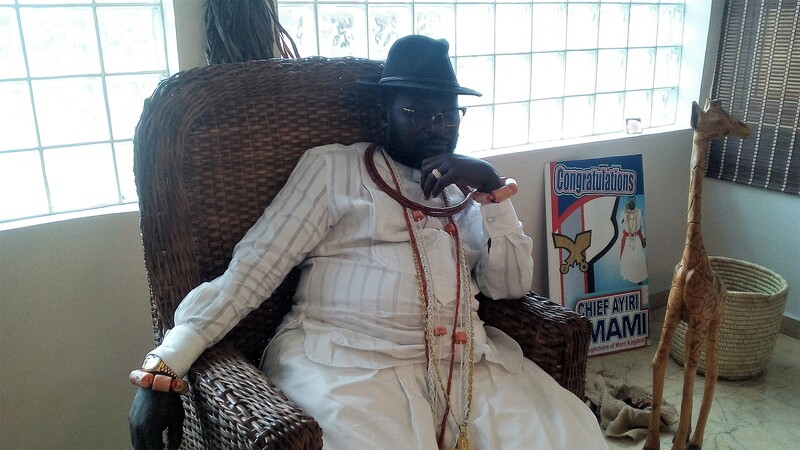 While stressing that the engagement is apolitical, Chief Emami disclosed that a high-powered seven-man committee headed by the Otsodi of Warri Kingdom, Chief Isaac Jemide has been set up to scrutinize the legislative aspirants. The committee whose membership is drawn from Warri Council of Chiefs and The Olu-in-Council is expected to commence work Monday September 3. Fresh Angle International can report that Air Vice Marshal Terry Okorodudu (Rtd.) and former Speaker of Delta State House of Assembly, Rt. Hon. JFK Omatsone who visited the respected Chiefs, recounted their contributions to the development of Warri Kingdom and assured of continuous efforts if given the blessing/mandate to represent Delta South Senatorial District at the National Assembly. 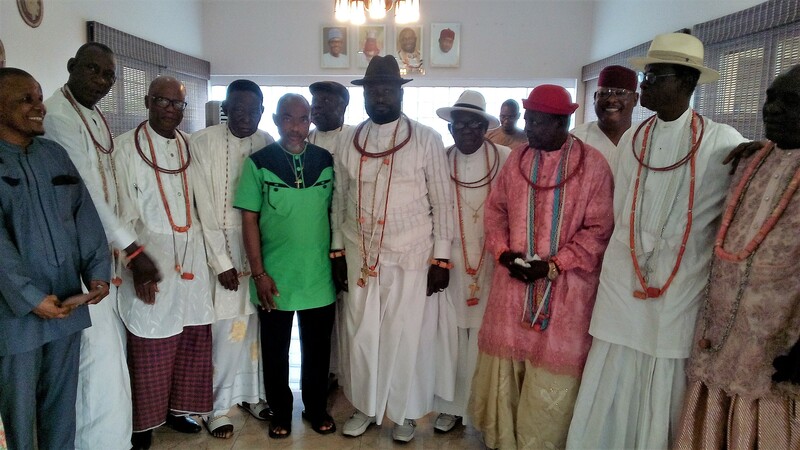 The Uwangue of Warri Kingdom, Chief Gabriel Awala, Chief Isaac Jemide, Chief Brown Mene, Chief E.T Heyman, Chief S. Irone, Chief Roland Omagbemi and Chief Michael Odeli were at the home of Warri Traditional Prime Minister, Chief Emami when Air Vice Marshal Okorodudu (Rtd.) and Rt. Hon. JFK Omatsone visited with their supporters.